Working With Chris: Chris is available for everything from being an international touring band member to covering one-off sub gigs. He can record your song, jingle, or sound track at his very own CDR Studios (or at any studio of your choosing). 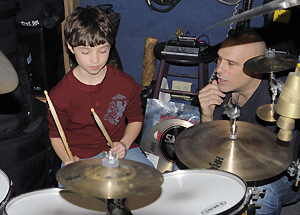 He can be a guest lecturer at your school or teach you one on one private drum lessons. Being fluent in many musical styles allows Chris to cover all of your drumming needs easily. Although there are many drummers "out there" not all of them are created equal. Chris DeRosa is a consummate professional, solid & dependable, very easy to work & travel with, does not drink or do drugs, has only the best equipment, and is comfortable playing to a click or backing tracks. Although Chris primarily plays drum set he is versatile and plays some hand percussion (as needed). Chris' favorite styles and strengths are quite varied and diverse so he has a lot to bring to the table. Shoot him an email with your info and some details about your project and budget. If we all work together anything is possible! CDR Studios was designed by Chris DeRosa & Chris Harmaty and custom built by Harmaty's company Audio Structures (the same folks that built Alicia Keys studio "Jungle City" & "Sorcerer Sound" among others). The studio is a "state of the art" full band rehearsal room, drum tracking recording studio, and private drum set teaching facility all conveniently located in the DUMBO section of downtown Brooklyn. Rehearsal Studio: At CDR Studios artists (singers, song writers and bands) can write, rehearse, and develop material for upcoming recordings or live performances in a very relaxing and professional atmosphere. Here, Chris strives to bring out the best from each musician/artist by nurturing their individual talent. In addition, Chris can act as "MD" (musical director) to help artists communicate with and get the most out of their musicians, arrange and run rehearsals, as well as secure musicians (if needed) from a large database of high quality players Chris regularly works with. If you are a young band or artist Chris can act as a "coach" helping you arrange your songs, set tempos, use dynamics, perform consistently, and offer some insight and advice in regards to your career and music. Drum Tracking Studio: Chris has realized his dream of building and owning a high tech state of the art "drum tracking" recording studio. 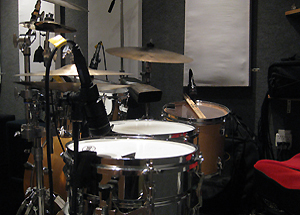 At CDR Studios Chris can create and execute custom drum and percussion tracks for your album, demo, or jingle here in NYC and then ftp them back to you anywhere in the world. When choosing to work with Chris you get more than a "session drummer" you get a musician with ideas and experience to draw from to give you a fresh new way to hear your music. Whether it's a 3 minute pop tune, a 30 second jingle, or an entire album side with complicated time changes Chris can do the job for you. At CDR Studios Chris can take the time needed to find the best part and capture the "perfect take" to bring your music to the next level. 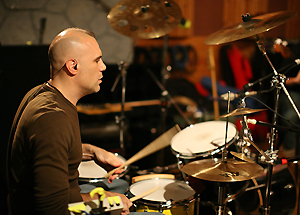 Private Teaching Studio: As a career musician and life long educator, Chris feels an obligation to pass the torch on to other motivated individuals by giving one on one private drum lessons. Traditional drum lessons usually have the student coming once a week and being sent home with a lot of material to practice before returning for the following weeks lesson. With Chris you learn how to teach yourself. No matter if you have practiced the material intensely all week or have been so busy you haven't had time to touch the drums, Chris will have you leave a better drummer/musician then when you walked in the door. Simply put, Chris' methods are a systematic approach to independence, dynamics, song form, and the total process of realizing how you personally learn and absorb information. Here Chris can help the student achieve their goals by creating custom lessons specifically geared for each student. 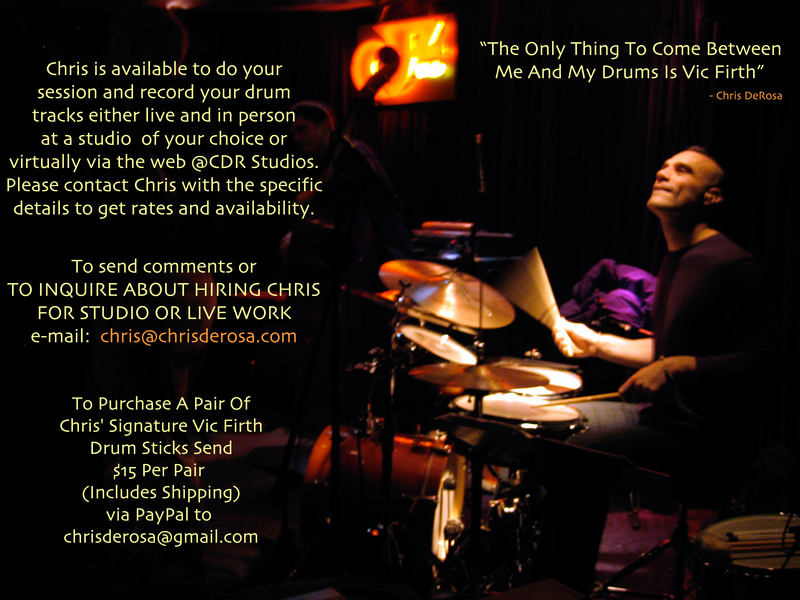 For those not located in the NYC area, Chris offers virtual (Skype) drum lessons from CDR Studios. Here at CDR Studios Chris has created an inspiring and comfortable setting for all your musical needs. You will find only the best gear including a variety of mics & amps to choose from (equipment list below). With many years of recording, teaching, and performing experience Chris patiently strives to assist everyone in realizing their musical goals as well as achieving the success they desire. Please feel free to contact Chris to learn more about any of the services he offers.